Are you ready to propose and you want to have it photographed, but don’t know where to start? You’ve done your research and you love the photos you’re seeing on social media and online, but do you enjoy the person behind the lens? This is extremely important to us: you’ll be spending one of the most important moments of your life to date with us and it’s crucial that you enjoy the entire experience – not just the product you receive afterward. We love sunset and sunrise proposals. The lighting is just beautiful! If you want to propose around noon, when the sun is at its highest point in the sky, we’ll probably suggest stepping under the shade of a tree, building, etc. so that the light is not directly in your eyes. We want to avoid squinting as much as possible – and we want to make sure that you are in flattering lighting. Overcast days are surprisingly gorgeous because the lighting is soft and low-contrast! You’re going to have these photographs forever. These images carry sentimental value and you want the location to have the same feeling! Whether you choose to propose at the location of your first date, somewhere in DC because you met there, a garden during cherry blossom season because you know that your significant other loves when things are in bloom, it will be perfect. We’ve photographed in sunflower fields, on cliffs, in bars or coffee shops, in the middle of the street during a snowstorm in Annapolis, and tons of other crazy cool moments all over the world. We love to do something special, unique, and fun! Ask your photographer about the location, the lighting, and have us check the weather as the day gets closer. We often block a second “rain date” just in case something comes up that does not work with the most important parts of your vision. If you don’t mind having umbrellas, standing in a different location if it’s a bit muddy, or parking a few extra blocks away if there’s an event nearby, we’re happy to keep the initial date. However, if you come down with the flu, you may want to reschedule. We totally understand that no one wants to have fever sweats while proposing to the love of their life (let alone, have photos of them taken)! Having a backup location is also not a bad idea. In DC, we have lots of last minute road closings or there may be a tour group standing in the exact spot you’d planned to pop the question. Discussing a plan B with your photographer is a good idea. We are full of suggestions, so feel free to ask! Most importantly, we all need to know what everyone looks like. We generally request a photograph of the two of you so we’re able to pick you both out as easily as possible. You shouldn’t need to pay attention to us once you’ve arrived at your proposal spot and we can’t afford to run around looking for you because we might miss the big moment! But, it can also mean an even more special moment! If you’d like to include both of your families, you’ll need to coordinate with them. If you want them to have a location that is out of sight, to meet you afterward, or whatever the case may be, make sure that everyone knows the plan so you do not have to think about anything but how happy you are when the moment arrives! Each situation is different, but we do our best to blend in. Nothing that screams “something important is happening” if there’s someone clearly waiting for you with a huge camera in their hand! If you’re proposing at the Jefferson Memorial, we will probably dress like tourists. If you’ve chosen Meridian Hill Park, we’ll probably come in lounge-wear (and remind you that the fountains are not turned on during the Fall-Winter). Planning to propose in a garden or forest? We’ll be wearing green or brown. Our goal is to be invisible and non-invasive – because this is your moment that we are documenting – and it’s not about us. A simple, “We’re on the way,” or, “Just parked! Walking your way now!” and even, “I’m wearing grey pants and a blue button-down,” is extremely helpful to us! That way, we can make sure we’re in position, know what to expect and are ready to go! Taking a selfie on the way out the door and posting to Instagram is never a bad idea – and texting it to us or tagging us is even better! Feel free to ask about our gear; even if we’ve photographed hundreds of proposal sessions, you have never done this before and you’re only doing it once. We are not offended if you want to know if we’ll be bringing a telephoto lens, lighting, a rain hood (which covers our cameras in wet weather), etc. Do a walk-through of the location with your photographer and discuss where you’ll stand, which way you’ll face, etc. Love these rings? They are all from Mervis Diamond Importers, a family-run, local business that specializes in engagement and wedding rings – and their diamonds are cruelty-free to boot! Remember that this is YOUR moment! Do what feels right for you two! 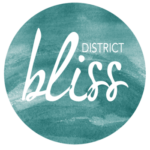 Photos from the Harty is a Building an Empire Member of the District Bliss Community! Become a Member!